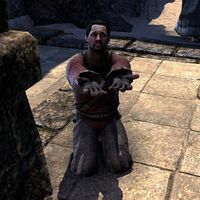 Abanilu the Importunate is a Redguard commoner who can be found in Hallin's Stand, outside the tavern. He has no unique dialogue. This page was last modified on 6 March 2019, at 23:37.